If you’d like more information or even to chat, please use the form below or call 913 689-0118. If you’re interested in a meet & greet, click here. We enjoyed your knowledge, style and the great discussion that followed. This book is a quick read with a lot of wisdom. 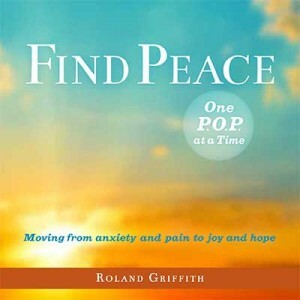 As simple as his book sounds it stands on firm ground I coaching us on how to defeat depression and find those Pieces of Peace. Highly Recommended. © Discovery International - Roland Griffith - 2017.